I regularly go to the theatre on my own and must admit I rather enjoy it. My favourite secret theatregoing activity is slipping off to a midweek matinee. It feels as though I am playing truant and frequently, when I look around the auditorium, I can spot those out on a similar skive from the office. There’s a certain look exchanged between audience members: ‘I know you shouldn’t be here either’. Those days may be numbered. It seems some theatres no longer want to encourage single-ticket buyers. A few weeks ago I wanted to buy a single seat to the Kenneth Branagh Theatre Company’s production of Romeo and Juliet at London’s Garrick Theatre. On Nimax Theatres’ website, I was offered two tickets but it would not let me take a single seat. Puzzled by this, I called the theatre’s box office. When I explained what had happened, I was astounded by the response. Although there were seats available, none of these were grouped in anything other than pairs. Theatre policy would not allow them to be sold singly. The suggested solution was to buy two tickets instead. That’s the theatrical equivalent of hotels’ single supplement charges for solo travellers. A week later I tried to buy a ticket to Aladdin the Musical at the Prince Edward Theatre. On the theatre’s box office website seats were available, but only placed in pairs. Delfont Mackintosh’s website informed me that a single seat could not be booked as it would separate a pair. Again I called the box office and was told that the only single seat available for that performance was a premium-priced ticket. This policy seems to undervalue the single-ticket buyer. Not only are people being prevented from booking a seat unless an odd one is available, but even when there is, it may not be in their preferred seating area. The model could also be unfair on single-ticket buyers when allocations are released for in-demand shows, particularly for online bookings which may ‘time out’ while the prospective audience member tries to find a suitable ticket. The art of dressing the house is one of the greatest skills of any box office manager. No theatre wants to be left with a lot of empty single seats, but back in the days of manual seating plans, this seemed less of an issue. While the problem predominantly affects hit shows, it sets a concerning precedent if this policy becomes generally adopted by theatres. 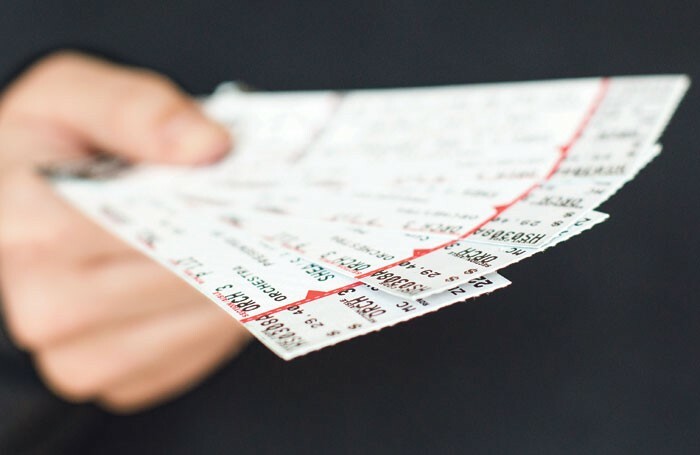 The single-ticket buyer, a proven asset to any production’s ticket contribution, would not be given due respect, nor equal access to the best choice of seats. Eventually, I did get single seats to Romeo and Juliet and Aladdin. Although I enjoyed both productions, I did not go on the dates I had wanted, nor did I sit in my preferred seating area. There’s a real danger that unless this policy is reviewed, audience members will miss out. They may go elsewhere. And that will starve producers of an important slice of revenue.